There are a variety of boat tours offered in Los Angeles and Orange County, ranging from romantic gondola tours of inland canals to harbor tours and open ocean whale and sea life tours. Being out on the water is a great way to cool off in summer, but be sure to bundle up fall through spring, and take a jacket or sweatshirt even in summer. Below are some of the most popular boat tours and other cruises in the LA area. Harbor Breeze Cruises offers public harbor cruises and whale watching tours from Shoreline Village in Long Beach and Ports O' Call Village in San Pedro. It also partners with the Aquarium of the Pacific on a whale watching tour for which a marine specialist comes along to provide commentary. Harbor Breeze is additionally available for charter dinner cruises and wedding cruises. Spirit Cruises and Yacht Parties offer Long Beach and Los Angeles harbor tours from Shoreline Village in Long Beach and Ports O' Call Village in San Pedro. Spirit Cruises also offers public dinner cruises from San Pedro and is available for charters. While they don't go as far as those departing from the Ports, whale watching tours depart in season from Marina del Rey, Redondo Beach, and Newport Beach. 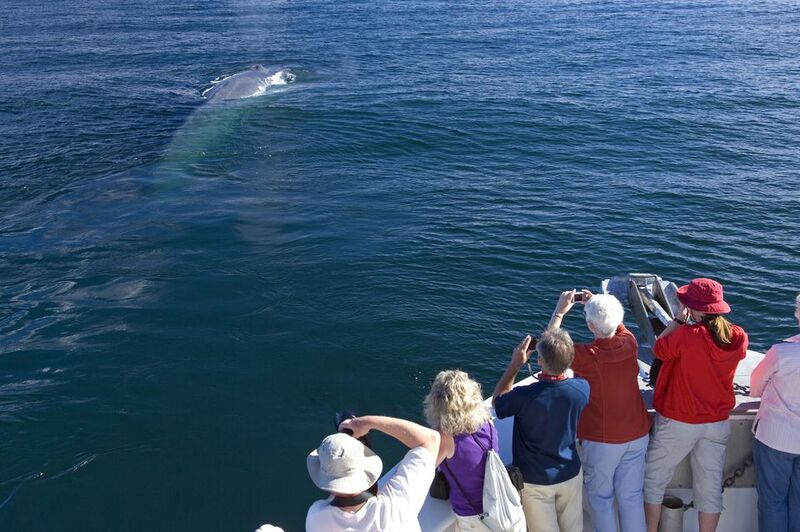 If you're interested in whale watching from Newport Beach, you may also find discount tickets at Goldstar.com. In addition to the two companies departing from Long Beach and San Pedro, companies depart from Marina del Rey and Newport Beach for dinner cruises and champagne brunch cruises. There are also Friday Night Blues Dinner Cruises from Marina del Rey. Search Goldstar.com for occasional discount tickets on dinner and party cruises. Sport fishing cruises and charters are offered at Pierpoint Landing in Long Beach, in Marina del Rey, Redondo Beach, and Newport Beach. Some tall ships based in Southern California marinas offer regular public sails including dinner or BBQ sails, whale watching, and adventure sails, and others only have periodic public excursions, since most of them are kept busy by youth training programs. You don't have to go to Venice, Italy, to enjoy the romance of a gondola ride. There are many companies offering gondola tours of Los Angeles and Orange County marinas, canals, and islands. A Duffy electric boat tour is a quiet and intimate way to explore the inland waterways of Newport Harbor around the attractions of Balboa Island, the luxury yacht harbor, and the waterfront mansions of Newport Beach. The canopied boat seats 11 with a table in the middle to enjoy the provided lunch. For an inexpensive boat ride and a fun way to get around, try the summer water taxi or water bus service in Long Beach and Marina del Rey. Long Beach has large AquaLink water taxis and smaller AquaBuses that run between different coastal attractions like the Aquarium of the Pacific and the Queen Mary in Long Beach. Marina del Rey has the WaterBus with seven stops around the Marina to facilitate easy shopping and dining. Bikes and strollers are welcome. Fares range from $1 to $5 per passenger. Santa Catalina Island is just off the coast of Southern California and has a variety of shopping, dining, and outdoor activities to enjoy on a day trip or overnight at several hotels and B and B's. The island's main city, Avalon, is reachable by ferry from Long Beach, San Pedro, or Dana Point in Orange County. You can also get Catalina Cruise tickets from your Anaheim or Buena Park Hotel, but then you spend a lot of time in the hotel shuttle and only have about three and a half hours on the island, which isn't nearly enough for most people. Plan ahead to make the most of your trip. Another way of getting out on the water is to take a cruise out of the Port of Los Angeles or Port of Long Beach. Cruises range from a weekend getaway to Mexico to 55 days down to the South Pacific. A variety of cruise lines including Norwegian, Holland America, Princess, and more depart from the LA Cruise Terminal in San Pedro. Carnival Cruises depart from the Long Beach Cruise Terminal in the Dome next to the Queen Mary.